Affluent and Wealthy individuals and their families face highly complex advisory needs in retirement. Through FPC’s experience and vast network of financial and legal professionals, we provide value-added guidance and solutions to these complicated financial issues. Retirement can be a wonderful period in one’s life. However, complexities can set in due to poor health and/or the onset of advanced age due to significantly longer lifespans. FPC provides Personalized Retirement Services including Investment Management*, Comprehensive Financial Planning, Retirement Planning and Distribution Planning, as well as Income Tax Planning, and much more on a fee-only basis. FPC’s objective is to deliver customized services to ease the everyday burden that retired clients face, in addition to the innovative financial advice that we believe is unequaled in terms of quality, from which clients can derive maximum value. FPC expects to achieve its objective by providing all firm members with extensive, ongoing internal and external education by utilizing cutting edge financial information, management, technology, hardware, and software, while capitalizing on our extensive national and local networks of other financial professionals. FPC continually creates new services not offered by our competitors that are of value to the client. FPC offers customized Investment Management* Services to individuals and institutions. Investment portfolios are developed to match the client’s return and risk requirements, which are determined by the clients’ completion of a Risk Tolerance Questionnaire, with the guidance of an FPC advisor. Each type of investment portfolio is managed to achieve both short and long-term investment objectives. Education is very important to us. FPC is dedicated to educating each client about the different investment portfolio types and how they relate to market volatility, time horizons, and investment returns. It is our goal to ensure that the client understands and agrees with our investment philosophy. Furthermore, we assist each client in selecting a risk tolerance level with which they are comfortable. Ultimately, an investment portfolio is designed to meet the client’s objectives. Investment management clients may receive quarterly performance reports upon their request, which specifically state beginning balance, the ending balance, contributions, withdrawals, realized and unrealized gains, interest, dividends, management fees, total gain after fees and the percentage return during that timeframe. We may also compare these returns to various indexes, depending upon the type of investment strategy. While providing detailed information, these performance reports are easy to read and understand. A fiduciary review determines whether or not fiduciaries and investment professionals are in compliance with the standards of modern prudent fiduciary investing. A fiduciary review is also valuable in teaching fiduciary standards of care and investment best practices to fiduciaries and investment professionals. Preparing an Investment Policy Statement (IPS) and documenting all investment decisions. The IPS should be viewed as the business plan for the investment program, and a summary or minutes of all investment meetings should be kept. Diversifying the portfolio according to the participants’ and beneficiaries’ risk/return profiles. Fiduciary portfolios should not be managed in a cookie-cutter fashion. Each portfolio will have unique cash flow requirements, legal restrictions, and risk and return objectives. Hiring prudent experts to manage the investments. New fiduciary standards make it clear that it is neither the desire nor the intent to have the fiduciary actually make investment decisions, that responsibility being designated to managers. The fiduciary’s role is to manage the overall investment process, including the performance of due diligence and the selection of professional money managers. Controlling and accounting for investment expenses. The fiduciary is responsible for ensuring that the components of the investment program are reasonably priced, and that no one service vendor is being unduly compensated, including mutual funds, money managers, custodians, consultants, and brokerage firms. Monitoring the activities of service vendors. The fiduciary MUST follow a due diligence process in selecting a money manager, and then continue monitoring on an ongoing basis to ensure that the manager adheres to approved investment strategies. Likewise, the fiduciary MUST review the activities of their attorney and investment consultant to ensure that the plan’s interests are being served first and foremost. Avoiding prohibited transactions and conflicts of interests. The most common breaches include investing assets in international securities outside the reach of U.S. Courts (for ERISA plans), or using the entrusted assets for unrelated business purposes or personal gain. FPC helps plan sponsors implement a documented fiduciary oversight process to reduce liability and ensure compliance with ERISA requirements. FPC acknowledges in writing that it is a fiduciary for investments under the plan. Our process involves a best practices approach to the creation and implementation of an investment policy. Our investment analysis and monitoring process ties ten separate analytics directly to your investment policy so that you can quickly see which funds/managers are compliant and which are not, the reasons for non-compliance and what action is recommended. As part of the financial planning process, FPC develops specific recommendations addressing each of the above-listed areas. During this first part of the process, the client will meet with an FPC advisor approximately three to six times, typically within the first six months of the client relationship. Each meeting will vary between two and four hours, depending upon the complexity of the client’s situation. Our objective is not to necessarily reduce the complexity of the client’s financial situation, because sometimes it does make sense to utilize trusts and other strategies to mitigate taxes and achieve family friendly objectives. Rather, our goal is to save the client the time and the energy that it takes to manage his/her complex situation so they are free to focus more closely on matters that mean the most to them. 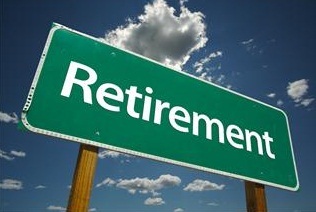 Many of our clients are interested in receiving guidance regarding retirement planning services. They especially want to know how much they need to accumulate, when they can retire, how to spend down their assets in a tax-efficient manner, and finally to distribute their assets to their heirs upon their death. FPC’s retirement accumulation and distribution planning services address all these areas and more. These services are part of the comprehensive financial planning service. This service is designed to assist clients who have a large percentage of their net worth in one stock. While the simple solution is to sell the stock and pay the taxes owed, it may not be the most optimal one. There are a number of alternatives that can be utilized in an attempt to maximize value. However, since many of the strategies are long-term in nature, finding the one most comfortable for the client entails a significant amount of planning around the overall financial goals of the client. FPC will review with each client a myriad of strategies including: gifting to family members, charitable-giving strategies, tax loss harvesting or the transfer of a highly appreciated security into other suitable investments. FPC assists its clients in making wise decisions regarding gifting. Gifting has always been a method of reducing an estate. Individuals can gift unlimited amounts for tuition payments and medical bills. Therefore, careful planning is necessary to stay within the limits, otherwise gift taxes will be assessed. FPC counsels its clients regarding various types of gifts including: securities, real estate and business ownership interest, in addition to cash gifts so as to avoid gift taxation while accomplishing estate planning objectives. FPC also advises those clients who would be affected by the Generation-Skipping Transfer Tax as to how to avoid the tax. FPC assists clients in identifying their personal and family philanthropic values and priorities as well as designs a plan to fulfill them. Individuals can take advantage of different methods of making philanthropic gifts. For example, an individual investor could gift highly appreciated stock, instead of selling the stock and incurring the capital gain taxes. A real estate owner may want to give property, which has low earnings and because the management of the property is time consuming or facing a declining market value, but still is marketable. Here again the owner would avoid the capital gains tax as well as obtain income tax savings from the charitable deduction. Specific strategies that will be evaluated will include: Charitable Gift Annuities, Charitable Lead Trusts, Charitable Remainder Annuity Trusts (CRATs), Charitable Remainder Unitrusts (CRUTs), Net Income Charitable Remainder Unit Trusts with Make-up Provisions, Flip Trusts, Charitable Pooled Income Funds, Charitable Lead Trusts and Private and Public Charitable Foundations. A service included in the financial planning process is the review of social security benefits. As a client approaches retirement, does it make sense to begin taking benefits at age 62 or should they wait until their full retirement age? Will those benefits be taxable if taken before full retirement? FPC will also review the client’s social security earnings statement to make sure that all of the previous years earnings have been included. This service is to assist clients in determining if there is a need for Long-Term Care Insurance. FPC will evaluate the client’s ability to be self-insured. If there is a need for coverage, the client will be aided in choosing a carrier and selecting the benefits that coordinate with their needs. This service is part of the comprehensive financial planning service. Also, if the client so desires, they may want to consider living arrangements other than their present residence, for example, Continuing Care Retirement Communities. For more information refer to the Evaluation and Selection Assistance with Nursing Homes, Assisted - Living Facilities, and At-Home Health Care Living Arrangements. Activities of Daily Living (ADL). Medigap Insurance fills in the insurance gaps that Medicare does not cover. There are various levels of coverage to choose as well as a wide variation in premiums. Evaluating pricing differences (Insurance premiums are based on factors such as community ratings, thoroughness of underwriting, and health considerations) between each insurance company as well as the coverage differences among each of the ten mandated Medigap Insurance Plans (A, B, C, D, E, F, G, H, I and J) developed by the National Association of Insurance Commissioners (NAIC), can be difficult, if not downright intimidating. Furthermore, insurability is another consideration. FPC evaluates the clients’ needs and assists them in choosing the Medigap Insurance coverage that is right for them. FPC will also coordinate the benefits a client may receive from their previous employer with the need for any additional coverage, including medical, long-term care or life insurance. CareGiver Consulting Services are provided by FPC to support the growing number of family caregivers. When necessary, we will consult with outside professionals or subcontract certain aspects of our service to deliver the highest quality advice to our clients. Because care giving is frequently not a family member’s primary occupation, this new role can cause unnecessary stress and strain for both the person in need of care and the person responsible for giving the care. CareGiver Services will give clients and trust officers the ability to connect with a national resource for information, assessments, care planning, care implementation or monitoring care. This workshop is designed for individuals who are retired or are within ten years of retirement. It discusses the rules for distributions from IRAs, Roth IRAs and other retirement plans. The workshop reviews income taxation, penalties, and how to avoid them. A comprehensive discussion of IRA rollovers, IRA transfers, Roth IRA conversions, in-service distributions, and plan borrowing laws will also be presented. The workshop will cover beneficiary issues as how to mitigate income taxation to heirs and how to set up heirs for their own retirements.